Are your works better than a Buddhist’s, than a Hindu’s, than any other religious person? Are you deeds superior to those who have no religion at all? If you heap your works about you, trusting in them for salvation, you will nonetheless go into the captivity of sin. You may put on the persona of the Lamb’s followers, and say religious things, but trust in works is the language of the devil. But it is the Father’s joy to simply give salvation to those who trust in his work: the salvation of the true Lamb of God. 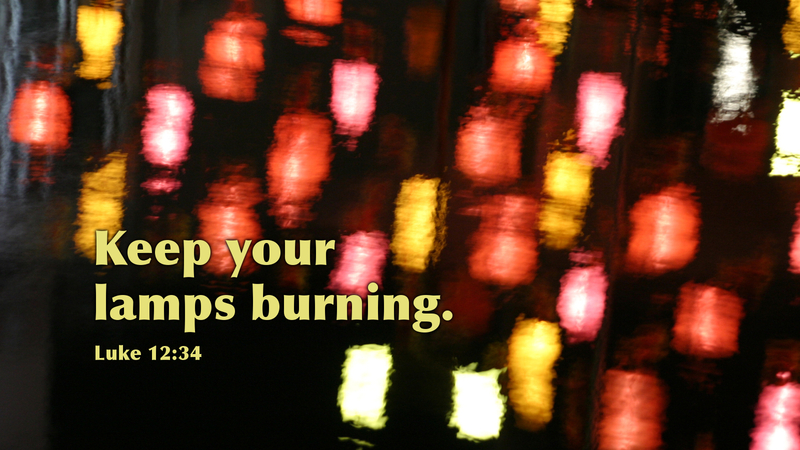 If your treasure (Luke 12:31) is the cross of Christ, your lamp will be burning brightly when the Lord returns. You will be prepared for the return of the King for you will be dressed in the robes of the Lord himself (Gal 3:27), instead of wrapped up in poor rags of human righteousness (Isa 64:6). So, do good deeds, as fine or better than anyone else—but put your trust in Christ alone.